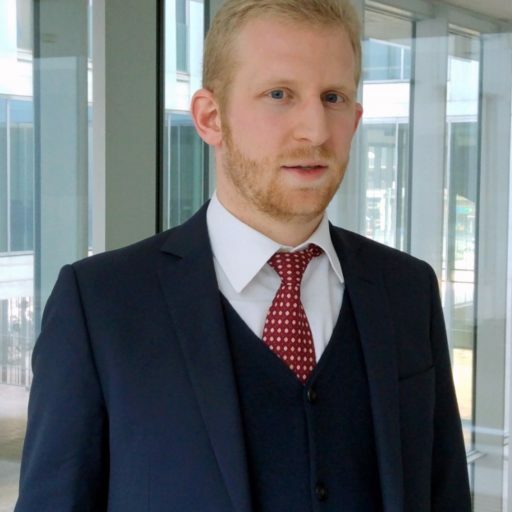 Marco Bassini ist Emile Noël Post-Doctoral Fellow an der New York University und lehrt Verfassungsrecht an der Bocconi-Universität Mailand. 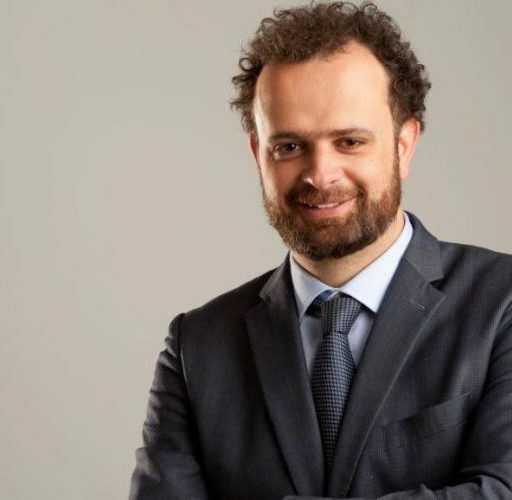 Oreste Pollicino ist Professor für Verfassungsrecht an der Bocconi-Universität Mailand, wo er auch Informations- und Internetrecht, öffentliches Recht und transnationales Verfassungsrecht lehrt. How Could the ECJ Escape from the Taricco Quagmire? As Mauro Cappelletti perceptively wrote in 1986, ‘unlike the American Supreme Court and the European Constitutional Courts, the Court of Justice has almost no powers that are not ultimately derived from its own prestige, intellectual and moral force of its opinions’. In other terms, the Court of Justice (‘ECJ’) cannot take obedience to its judgments by Member States and the respective authorities as granted or constitutionally-mandated since, in Weiler’s words, this is a voluntary obedience which goes hand in hand with the exercise of constitutional tolerance in the Member States. In other words, there is a time for the enforcement of the radical primacy of EU law as in Melloni and Taricco I, and a time for internalizing the counterlimits, as in the Taricco II decision (M.A.S. and M.B. case) handed down today by the ECJ. The last chapter of the Taricco affaire that will presumably bring this saga to an end prior than the Italian Constitutional Court (‘ICC’) takes back the floor and ‘cashes out’, stands out as an all about persuasive decision fostering the (Italian) constitutional tolerance, most notably if compared with the judgment of September 2015 (Taricco I). Nonetheless, it goes without saying that, the decision will be welcomed and promptly enforced by the ICC despite its argumentative weakness. As it is well known, the Opinion of Advocate General Bot of 18 July raised several concerns among scholars, by foreshadowing a negative reaction of the ECJ to the questions referred by the ICC. It was not by chance, perhaps, that the Opinion was delivered by Bot, who served as Advocate General also in Melloni, the very nightmare of the ICC in the Taricco affaire. However, the ECJ has eventually ruled in the opposite sense in Taricco II, even if implicitly acknowledging what Daniel Sarmiento, as usual, has put in the best possible way: ‘In Melloni there was no discretion for the Member State, so the standard of the Charter was applied and the more protective standard in the Spanish Constitution was set aside. Now, in M.A.S., the Member State has quite a lot of discretion under EU law, and the ECJ recognizes such discretion and allows the Constitutional Court to make full use of it in order to uphold the higher standard of protection under Italian law’. In our view, Advocate General Bot failed to handle the request of clarifications of the ICC through the lenses of Member States constitutional traditions and the inherent pluralism of the same, while improperly focusing its attention on the (non) argument of constitutional identity, in the wake of the Gauweiler case. He also failed, in our opinion, to take into account the arguments of the ICC to differentiate Taricco from the Melloni case in order not to call into question the primacy of EU law. Bot did then suggest the ECJ to confirm its decision, by refusing to revisit or better substantiate the relevant arguments on the absence of a violation of the principle of legality. However, in our pars construens, we noted that the judgment in Taricco I offered some elements to lead the ECJ to adopt a different solution. Most notably, the ECJ itself recognized (para. 53) that ‘if the national court decides to disapply the national provisions at issue, it must also ensure that the fundamental rights of the persons concerned are respected’. We then suggested that Article 6(3) TUE could work as sound reference to apply as a possible limit to the enforcement of Taricco I based on the constitutional traditions of Member States, meant as an inherently pluralistic notion. This provision, in effect, ranks fundamental rights, as resulting from the constitutional traditions common to Member States, among the general principles of EU law. Looking at the judgment in Taricco II, the latter seems to be the road actually taken by the ECJ, which seems to have taken a step backward, giving rise to a very revirement. Despite the relatively cautious language used by the ECJ, some points need to be highlighted to clarify how it could reach a conclusion that is in conflict with its position of Taricco I. The first and foremost change in the approach of the ECJ seems to be the shift from a genuinely radical understanding of the primacy of EU law to a different and softer one, based on the concept of constitutional tolerance. This change of approach is possible because the ECJ focuses from the very beginning (para. 46) on para. 53 of Taricco I in order to make the disapplication of the rules on limitation periods conditional on the respect of the fundamental rights of the defendants. It is true that immediately thereafter the ECJ makes reference to Melloni, by clarifying that ‘in that respect, the national authorities and courts remain free to apply national standards of protection of fundamental rights, provided that the level of protection provided for by the Charter, as interpreted by the Court, and the primacy, unity and effectiveness of EU law are not thereby compromised’. However, this formal reference is materially contradicted by the following steps of the decision. In fact, at para. 48 the ECJ points out that ‘where the imposition of criminal penalties is concerned, the competent national courts must ensure that the rights of defendants flowing from the principle that offences and penalties must be defined by law are guaranteed’, in order to reaffirm the primacy of the principle of legality over the obligation to contrast frauds affecting the financial interests of the Union through criminal measures. The ECJ does then consider the objections of the ICC, according to which the fundamental rights of the persons concerned would not be observed in case of disapplication of the limitation periods. This because, on one hand, ‘the persons concerned could not reasonably foresee before the delivery of the Taricco judgment that that Article 325 TFEU requires the national court to disapply those provisions in the circumstances set out in that judgment’; on the other one, ‘the national court would not be able to define the particular circumstances in which it would have to disapply those provisions, namely where they prevent the imposition of effective and deterrent penalties in a significant number of cases of serious fraud, without exceeding the limits imposed on its discretion by the principle that offences and penalties must be defined by law’. To answer to these questions, the ECJ seeks support in the existence of inherently pluralistic constitutional traditions of Member States in that respect: this way, Article 6(3) TEU, even if not explicitly mentioned, is definitely preferred to Article 4(2) as reference to let a more elaborated understanding of the principle of legality (than that adopted in Taricco I) to emerge. The ECJ thus explore three different and equally relevant profiles of the principle of legality, namely the foreseeability, precision and non-retroactivity of the criminal law applicable. All these profiles, in the view of the ECJ, are given importance in both the EU legal order and in national legal systems and are then applicable, in the Italian legal order, also to the limitation rules for criminal offences relating to VAT. In fact, the Italian Republic, before the adoption of Directive 2017/1371 (on the fight against fraud to the Union’s financial interests by means of criminal law), was free to provide that in its legal system those rules, like the ones on the definition of offences and the determination of penalties, form part of substantive criminal law, and are thereby subject to the principle that offences and penalties must be defined by law (para. 45). First of all, as to the foreseeability, the ECJ derives from the case law of the European Court of Human Rights on Article 7(1) of the ECHR that ‘provisions of criminal law must comply with certain requirements of accessibility and foreseeability, as regards both the definition of the offence and the determination of the penalty’. Second, the ECJ points out that the requirement that the applicable law must be precise means that ‘the law must clearly define offences and the penalties which they attract. That condition is met where the individual is in a position, on the basis of the wording of the relevant provision and if necessary with the help of the interpretation made by the courts, to know which acts or omissions will make him criminally liable’. Last, the principle of non-retroactivity of the criminal law means prevents courts, in the course of criminal proceedings, from imposing ‘a criminal penalty for a conduct which is not prohibited by a national rule adopted before the commission of the alleged offence or aggravate the rules on criminal liability of those against whom such proceedings are brought’. As a result, the ECJ attaches a broader significance to the principle of legality as part of the common constitutional traditions of Member States and enshrined in Article 49 of the Charter. The consequences of this more convincing construction of the principle of legality are very important if one compares the outcome of Taricco II to the ruling in Taricco I. First, the ECJ holds that it is for the ICC (not an ordinary court…) to determine whether the assessment that national courts are required to carry out according to Taricco I (i.e. whether the provisions of the Criminal Code at issue prevent the imposition of effective and deterrent criminal penalties in a significant number of cases of serious fraud affecting the financial interests of the Union’) would result in uncertainty as regards the determination of the applicable limitation rules, an uncertainty ‘which would be in breach of the principle that the applicable law must be precise’. In that scenario, the national court is not obliged to disapply the provisions of the Criminal Code on limitation periods. Second, the ECJ draws the conclusion that the requirements of foreseeability, precision and non-retroactivity ‘preclude the national court, in proceedings concerning persons accused of committing VAT infringements before the delivery of the Taricco judgment, from disapplying the provisions of the Criminal Code at issue’. In fact, ‘if those provisions were disapplied, penalties might be imposed on those persons which, in all likelihood, would not have been imposed if those provisions had been applied’. As result, ‘those persons could thus be made subject, retroactively, to conditions of criminal liability that were stricter than those in force at the time the infringement was committed’. Here it comes an extremely important revirement of the ECJ that, de facto, reverses its holding in Taricco I. This way, the ECJ has brought the clash at the level of EU law: it is no longer the national understanding of the principle of legality to be in contrast with the obligations stemming from Article 325 TFEU. We are no longer facing a counter-limit (a purely Italian doctrine) but a very limit that it is EU law to provide, first of all through Article 49. The ECJ engages in a more detailed framing of the principle of legality and accepts, as a consequence, that its holding in Taricco I may not respect the fundamental rights of the persons concerned. This way, the solution proposed by Bot, a ‘victim’ of the Gauweiler heritage and of the fatal attraction for the constitutional identity clause (and perhaps, also of an overpraise of Melloni), is rejected. The same ECJ, thus, manages to defuse the potential of the conflict with the ICC without finding any minus in the primacy of EU law and accepting that a more pluralistic understanding of the principle of legality that is inherent to the European legal order could legitimately obstacle the obligations under Article 325 TFEU. Interestingly enough, the ECJ also tries to reduce the degree of conflict between courts and the difficulties of judicial interaction by involving, albeit indirectly, a third party, namely the lawmaker. The ECJ says that ‘It is primarily for the national legislature to lay down rules on limitation that enable compliance with the obligations under Article 325 TFEU. […] It is that legislature’s task to ensure that the national rules on limitation in criminal matters do not lead to impunity in a significant number of cases of serious VAT fraud, or are more severe for accused persons in cases of fraud affecting the financial interests of the Member State concerned than in those affecting the financial interests of the European Union’ (para 41). However, ‘If the national court were thus to come to the view that the obligation to disapply the provisions of the Criminal Code at issue conflicts with the principle that offences and penalties must be defined by law, it would not be obliged to comply with that obligation, even if compliance with the obligation allowed a national situation incompatible with EU law to be remedied’: in fact, it is for the national legislature to take the necessary measures. Finally, a last point has to be stressed. In reaching the conclusions above, the ECJ does not restrain from working out its guidance, even though the referring court is not an ordinary one but the ICC. Apparently, the ECJ is seeking to leave untold that the requests of the ICC have been exhaustively satisfied, giving the last say to domestic courts; while it is clear, indeed, that the ICC will rule accordingly and set Taricco I aside. The same language used by the ECJ is not self-critical at all, since the judgment seems to suggest that the limit (an internal one in EU law) of the respect of fundamental rights was already encapsulated in the mentioned obiter dictum of para. 53 of Taricco I. But, despite these elements, the revirement of the ECJ is clear: and ultimately, also in the Taricco affaire, all the roads lead to Rome. As noted above, the crucial aspect of the judgment seems that the ECJ, by (even if not explicitly) reconsidering its previous judgment in light of values which are part of the European constitutional heritage, has accepted the ICC’s suggestion to identify the common constitutional traditions (rather than the constitutional identity) as the lingua franca of cooperative constitutionalism in Europe. And this seems even more important in light of the threatening wind of new populism and Euroscepticism blowing (not only) from Eastern Europe. SUGGESTED CITATION Bassini, Marco; Pollicino, Oreste: Defusing the Taricco Bomb through Fostering Constitutional Tolerance: All Roads Lead to Rome, VerfBlog, 2017/12/05, https://verfassungsblog.de/defusing-the-taricco-bomb-through-fostering-constitutional-tolerance-all-roads-lead-to-rome/, DOI: https://dx.doi.org/10.17176/20171206-095420.